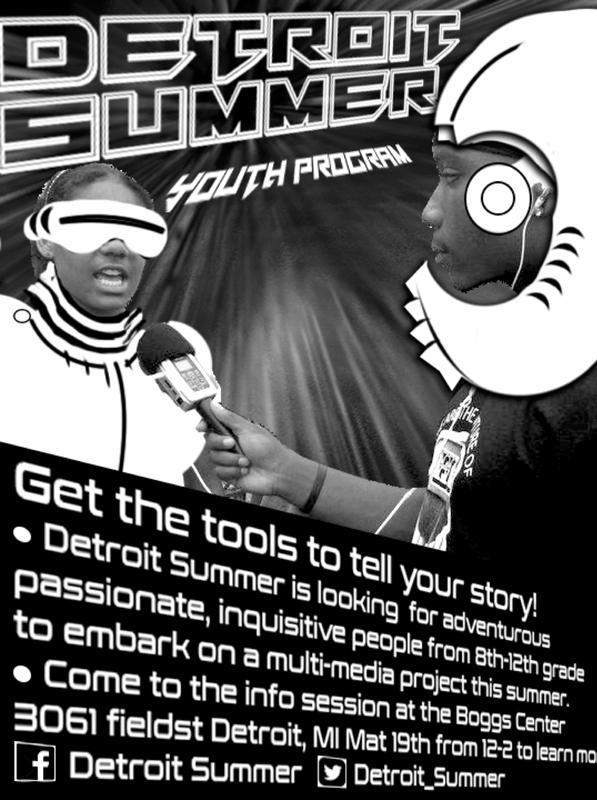 This summer we will be launching a new program to engaging young people to learn about our city, gain media making sills, and tell our own stories about themselves and Detroit. The program will start with attending the Allied Media Conference and begin June 25 lasting 6 weeks, 4 days a week Monday-Thursday from 10am- 3pm. We will have an info session May 19 at the Boggs Center for more information, question, and for people to apply.